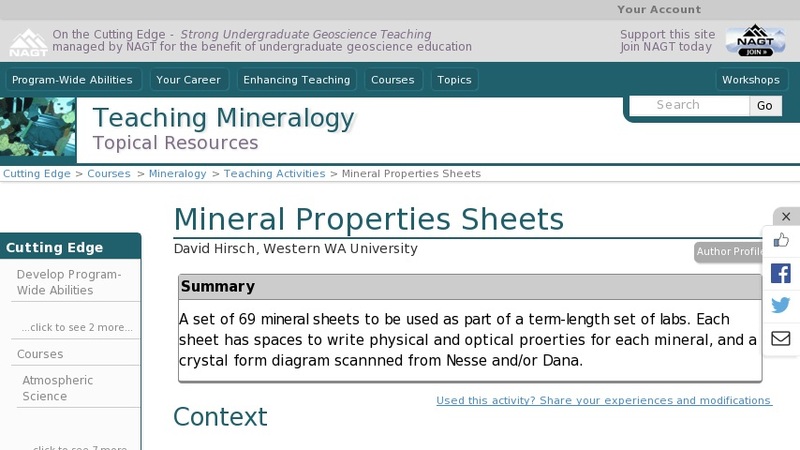 These sheets are designed to give students a framework for making observations of minerals in hand specimen and (for selected minerals) in thin section. I place most of the emphasis on the distinguishing properties, rather than requiring an exhaustive list. Students use hand specimen observation, thin section observation (for selected minerals) and references to complete the forms.